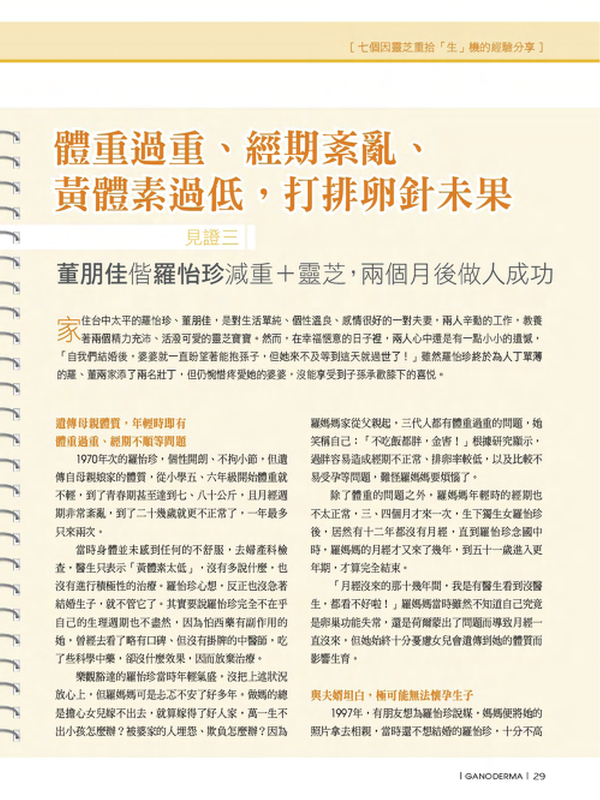 "Ganoderma Magazine" is a technical publication by the Microbiological Research Foundation of Taiwan. 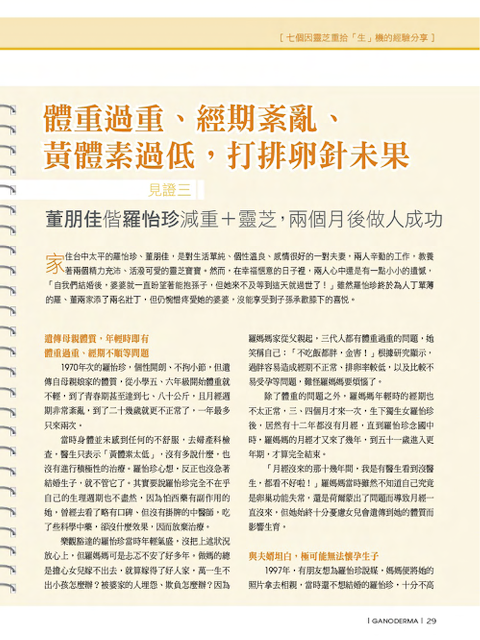 The magazine gives you more in-depth information on Lingzhi / Ganoderma research and its application on your body’s health. However, it is only available in Chinese language. 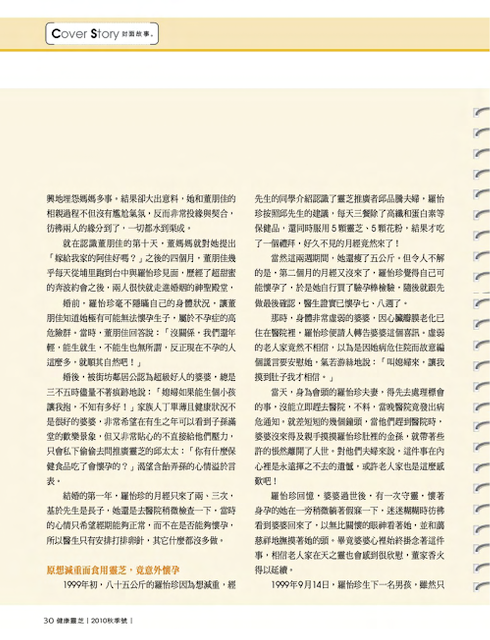 Below is the English translation of a testimony on how Lingzhi has helped this couple who have difficulty conceiving. Since young, Mdm Low had obesity problem and irregular menstrual cycle. When she was 20, she had her menses only 2 times a year. Doctor diagnosed her with low luteinizing hormone. At age 29, she weighed 85 kgs. She decided to reduce her weight. Her husband's schoolmate adviced her to take a combination of Jia Hor Fibre + Jia Hor Soya Protein to replace her 3 meals. On top of that, she took 5 Lingzhi + 5 Pollen daily. After 1 week - she had her period. After 2 weeks - she slimmed down by 5 kg. After 2 months - she successfully conceived. After delivery, her menstrual cycle was every 2 to 3 months, but she wasn't able to slim down. So she decided to re-start the combination of Fibre, Protein, Lingzhi and Pollen to manage her weight. However, she got pregnant again after 2 months.